Keep moving... fast. Browning's Javelin pant is designed for mobility above all else. 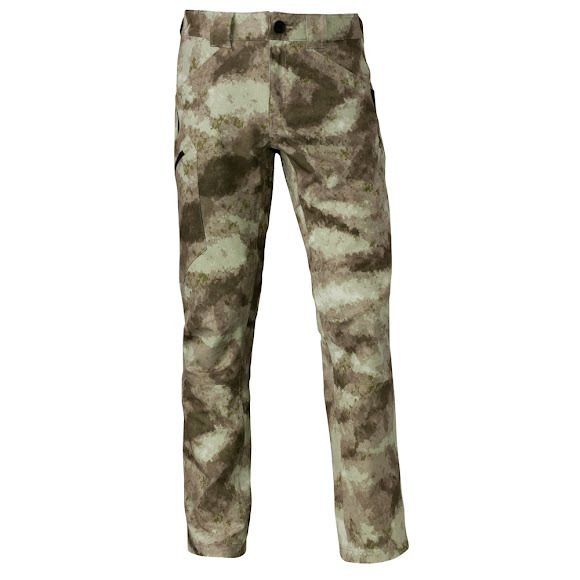 Rugged enough to keep from tearing in thick brush and protect your legs from abrasion and light enough that you can step over deadfall and scramble over rocks without feeling like you are lifting them. Keep moving... fast. Browning &apos;s Javelin pant is designed for mobility above all else. Rugged enough to keep from tearing in thick brush and protect your legs from abrasion and light enough that you can step over deadfall and scramble over rocks without feeling like you are lifting them. Trudge through the mud in them or get them bloody while you gut a deer, rinse them off quickly in a stream, shake them off, and you&apos;re good to go. HeroFit™ is designed for hunters who take their sport and gear seriously. Light and fast is key with HeroFit™. Trim dimensions and tough, stretchable fabrics work together to maximize mobility. It starts with a collection of colors taken straight from the outdoors and photographed in carefully controlled lighting. A mathematical algorithm takes the colors and writes organically-shaped pixels using the specific color information. The resulting pattern, while still digital is far more organic in appearance than other digital patterns because A-TACS® Camo replaces the unnatural angled pixels with organic pixels. The organic pixels are then digitally modified to create real world elements without subscribing to the traditional limb and leaf mimicking patterns. The end results are patterns that eliminate the human outline from as close as a few feet and minimizing the blobbing effect when viewed from a distance.